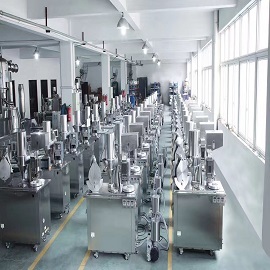 1YRS Taizhou Quanta Machinery Equipment Co., Ltd. 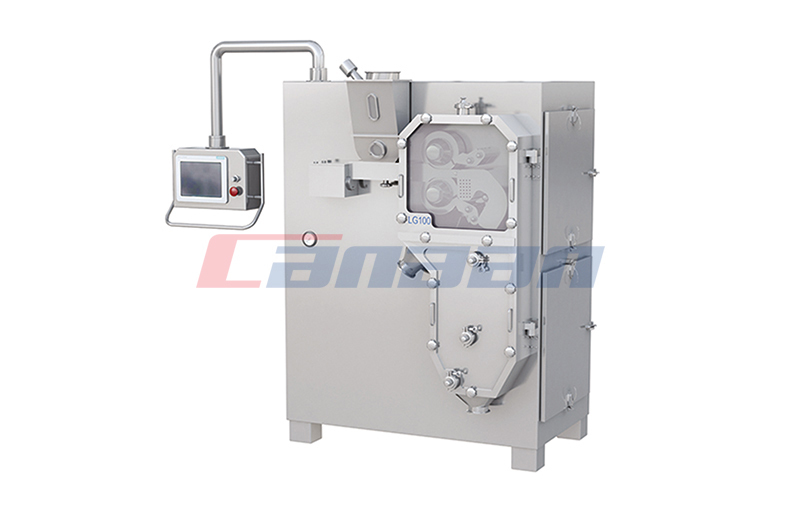 This machine is mainly used for making pellet, film coating on tablets. 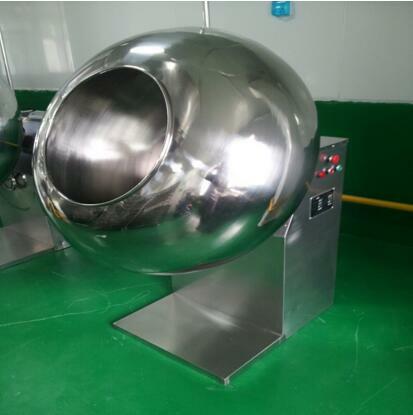 It can also be used for making ball shape products or granules, mixing, and polishing, etc. 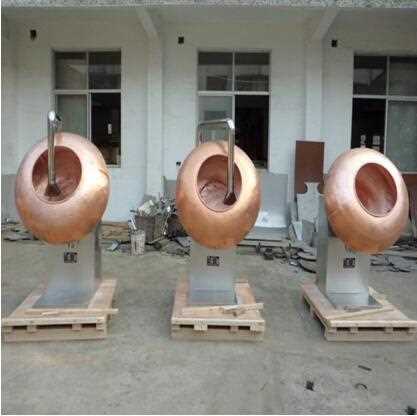 Such as: chocolate polishing, peanut coating, sugar coating, seasoning, producing tapiocapearls, and pelletizing the desiccant & aluminium hydroxide, porcelain ball making, etc. ball shape products or granules, mixing, and polishing, etc. 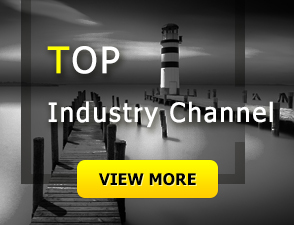 pearls, and pelletizing the desiccant & aluminium hydroxide, porcelain ball making, etc. 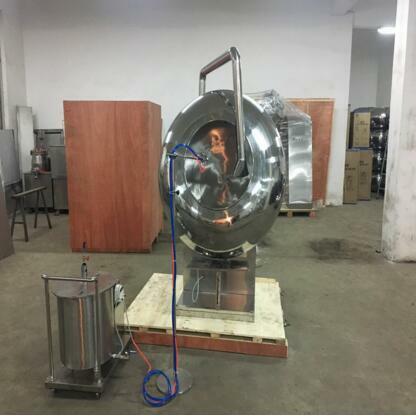 This machine consists of main body, worm wheel box, coating pan, heating device, hot air & common blower, electrical equipment, etc. 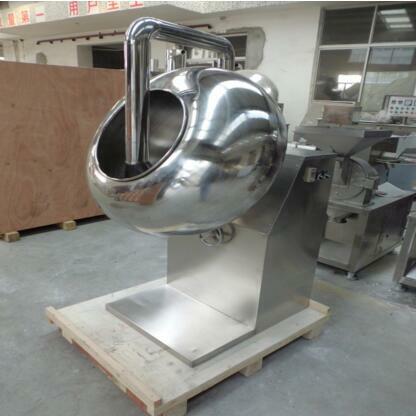 make the coating pan rotate. 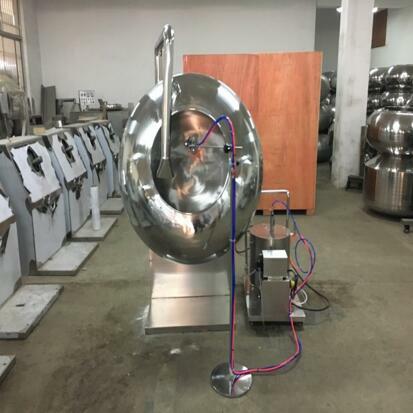 Then the material revolves up and down in the coating pan, so that even mixing, pelletizing and polishing can be completed well. 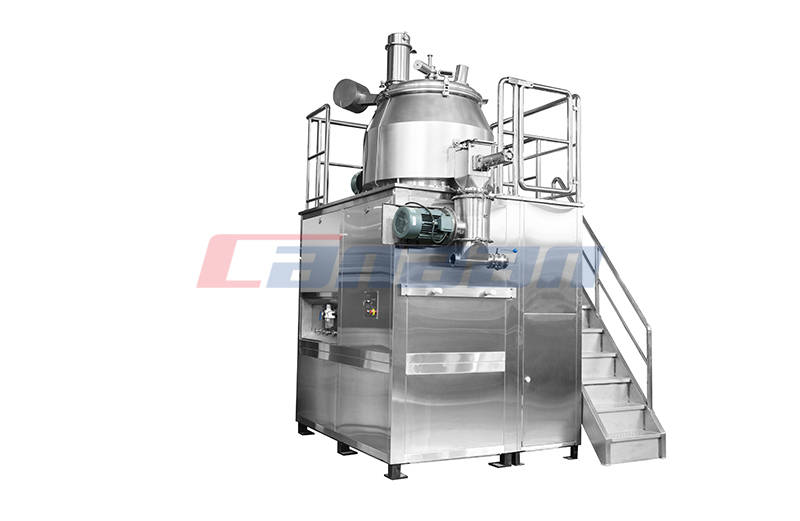 1.We have 24 years experience in the field of Manufacturing Pharmaceutical Machines. 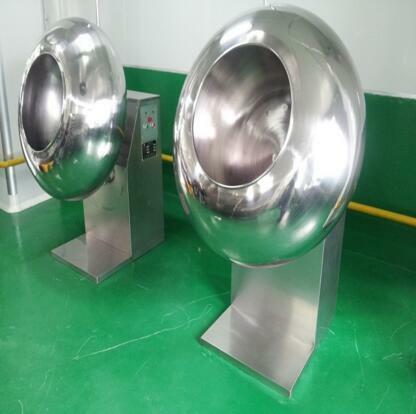 2.The goal of our company is to provide customer highest quality products at competitive price using latest engineering practices and innovative ideas.We always respect customer views and feedbacks about machines to improve performance and productivity of the machine. 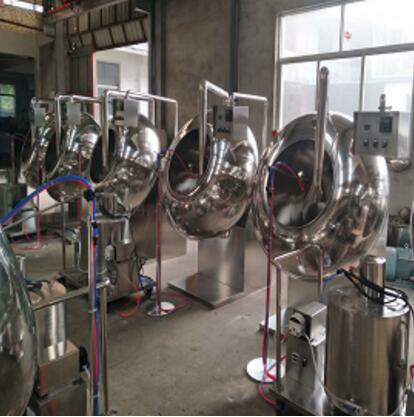 3.In conformity with ISO9001&CE&GMP Quality Management System, We professionally manufacturing pulverizer machine/ mixing machine/ tablet press machine / coating machine / granulator machine / drying oven / tablet&capsule counting machine/ mixing granulator, etc with good quality and competitive price.